Ireland has produced many sporting greats over the years, including footballers such as George Best, Roy Keane and Robbie Keane. And when it comes to golfers, there is no shortage of talent to celebrate in the Emerald Isle. When ranking the top Irish golfers of all time, we have to look at players from both sides of the border. After all, Northern Irish golfers compete in an all-Ireland team at amateur level and players from the North are able to represent Ireland rather Great Britain at events such as the Olympics. With this factor taken into consideration, let’s take a look at the best golfers that the Emerald Isle has ever produced. First up is Rory McIlroy. It would be hard to argue that the man from Northern Ireland does not deserve a place at the top of the list. By the age of 25, he had accomplished more than many professionals can expect to achieve in a lifetime. Now aged 28, he has 22 professional wins to his name, including four major championships. His next goal will be to complete a career Grand Slam by claiming a US Masters title. 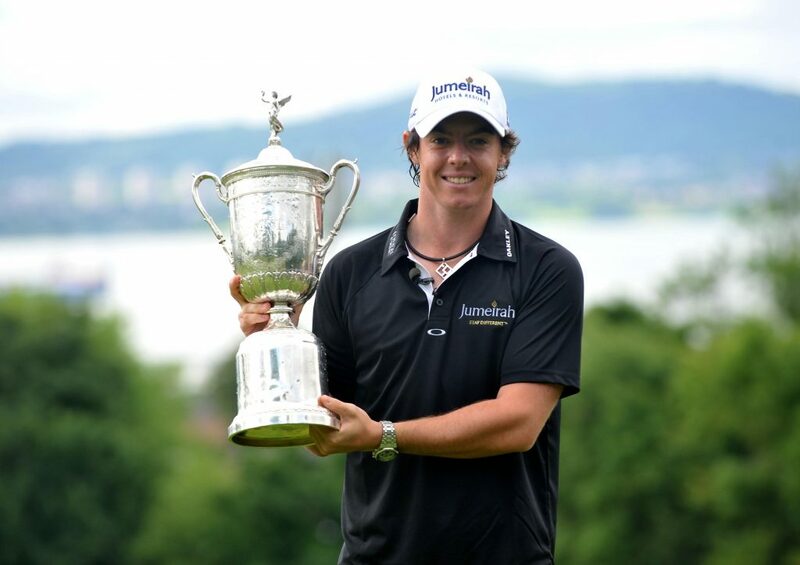 Rory McIlroy poses with the US Open trophy. Before McIlroy took the golfing world by storm, Padraig Harrington was Ireland’s only multiple major winner. However, his rise to the top came quite late with his first major title (2007 Open Championships) coming at the age of 36. A year later, he retained the title and added a PGA crown to his collection. For a while, it seemed as if 12-time European Tour winner Darren Clarke would never win a major. But that all changed at the 2011 Open Championships when the man with a reputation for enjoying life away from the golf course finally saw his name engraved on the Claret Jug. He also gained a reputation as a tough four-ball opponent in Europe’s Ryder Cup team finishing on the winning side in four of the five tournaments for which he was selected. 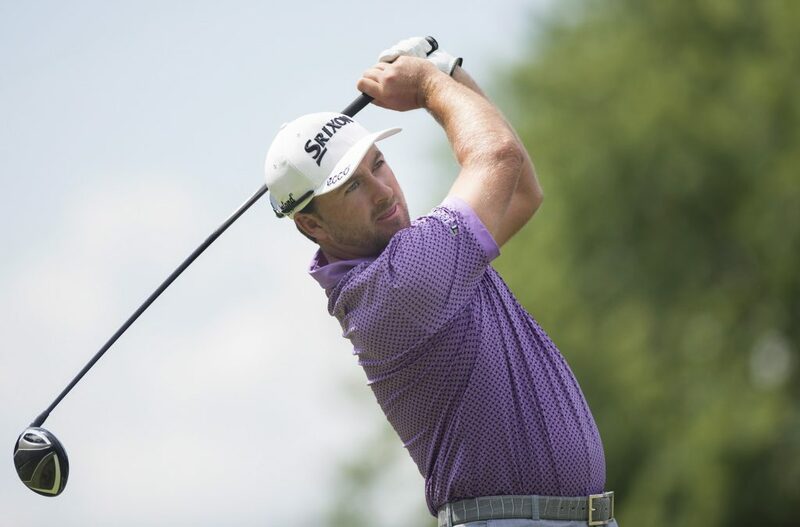 Graeme McDowell, of Northern Ireland, tees off on the eighth hole during the third round of the Canadian Open golf championship at the Royal Montreal Golf Club in Montreal. Graeme McDowell was a solid if unremarkable golfer for much of his early career but in 2010 he was the golf’s star man. He picked up another couple of wins on the European tour to take his total to six, he followed that up with a major at the US Open before sinking the crucial putt in the Ryder Cup. Not content with such glory, he went on to defeat Tiger Woods in the Chevron World Challenge having sunk a 20-foot putt to force a playoff. Before McDowell’s major win in 2010, only one other player from the north of the border had claimed a major title. That win came 63 years earlier when Fred Daly triumphed at the 1947 British Open. Daly notched up more than 20 professional victories and four more top-four Open finishes, a figure that would have surely been higher had it not been for the intervention of World War II. Christy O’Connor Sr. gets an honourable mention for a record of 65 professional wins and ten top-ten finishes in the Open Championship – including a second place in 1965. Financial constraints prevented him from competing in any other majors, otherwise, we may have seen his name higher up the page.